Over the past years we handled many over-dimensional and heavy-lift cargo, which gave us the needed experiences for providing quick and economical solutions for the move of your project cargo. The transportation of large, heavy and high value pieces of equipment demands a constant communication, attention to detail and collaborative partnership with all involved parties, so the cargo can move without any hitches and within deadlines. We ensure your cargo arrives at destination without any damage: we can provide professional fastening, strapping, lashing and blocking/bracing (using specific dunnage materials adequate for the type-nature) of your cargo. 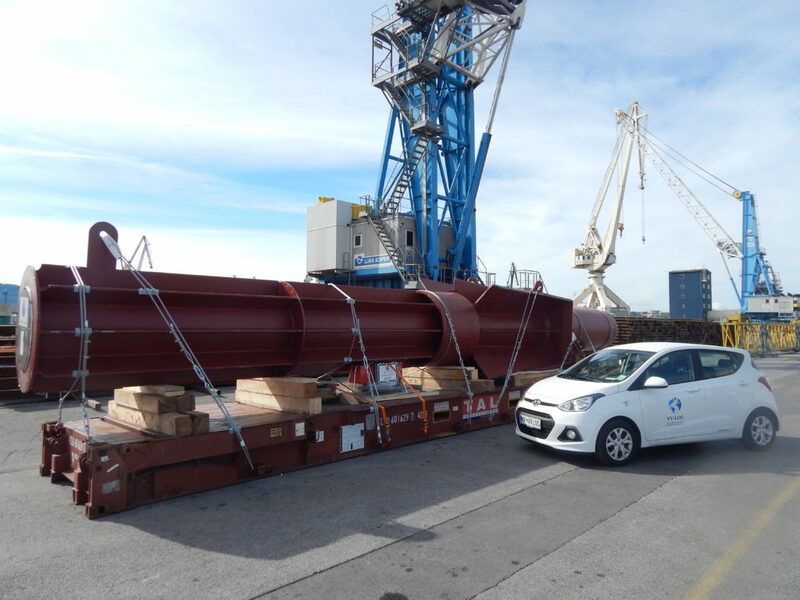 From components of power plants to rudder trunks – we can pre-plan, transport, secure and ship your project cargo to every destination of your choice.